International Green week 2015 fair started in Berlin today. The vevent was officialy opened by Phil Hogan, EU Commissioner for Agriculture and Rural Development. Rich programme will attract around 400 000 visitors till 25 of February. “As an Irishman, I have seen the agri-food sector become one of the main motors of economic recovery in Ireland. And I believe that this sector can play a similarly crucial role in economic recovery for the whole of the European Union! In doing this, we must also remember that producers must get their fair share of margin in the food chain.”, Phil Hogan said. “Over the years, we have seen many changes to our Common Agricultural Policy. For me, the key change has been the move towards a more market-oriented policy, which allows farmers to decide what they want to produce based on the market, rather than on quotas or the type of subsidy available. The policy is also there to help the farmer deliver public goods for society as a whole – high quality, traceable food, biodiversity and food security amongst many others. One of the exciting new elements of the recent CAP reform is our push to embrace renewal and progress, through the so-called European Innovation Partnerships – by working more closely with the research community to help provide answers to the fundamental challenge of “how to produce more, but with a lower impact on our natural resources”. Similarly, we have measures which should help more young farmers come into the sector. We are well aware of the importance of reducing the administrative burden on farmers and simplification is a top priority for my work programme in 2015. “, the EU somissioner added. 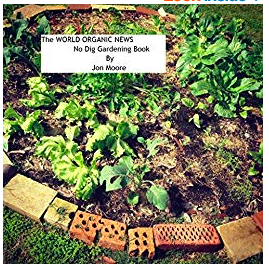 “There are also ongoing discussions about the EU rules for organic farming. I am aware that this is proving controversial, especially among organic farmers themselves. Again, I hear your concerns and I am certainly willing to help broker compromise. I believe the existing rules can be improved to make EU producers more competitive. If we can’t engage on these proposals, we risk missing this opportunity for improvement for another 5 years.”, Phill Hogan said. via Agri.EU | International Green week 2015 started in Berlin – Events – Agri.eu.